Ruined by the robotic narrator. 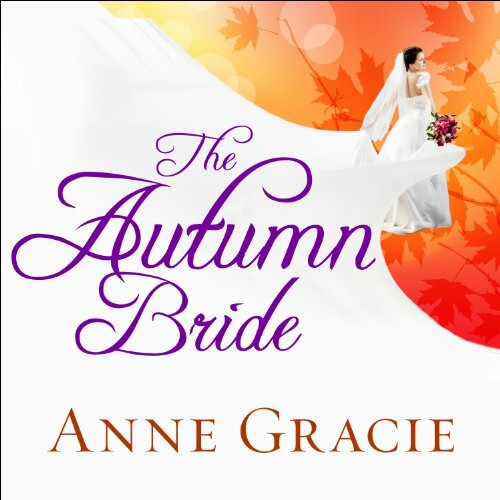 Would you consider the audio edition of The Autumn Bride to be better than the print version? If I could bookmark all the fun passages in the audio edition as I do in the book/eprint version so I can go back and listen again, then yes. Since I can't, No. But I enjoyed the audio. Aunt Bea is a hoot! She's quite funny, but also loving and loyal. Alison Larkin was a great pick for this narration. I read the ebook first, then bought the audiobook. I could hear each character's voice in my head as I read. Ms. Larkin's Bea, Freddie and Daisy were different, but better. The conversation between Abby and Aunt Bea when Abby found Bea in her lonely room, uncared for moved me to tears. I got just as angry with Max as Abby did. I know Max was at sea working to keep Bea living in comfort, but not having someone check to make sure everything continued along the same path when Bea man of affairs passed away leaving her care to his son was irresponsible. The apple does not always fall close to the tree. He should have known better. This is a beautifully written story with wonderful dialogue. A little sad at the beginning, but it becomes humorous very soon after. I am waiting for the next story which is The Winter Bride (Damaris & Freddy's) love story. What's weird is I would not have pick these two characters to fall in love, but, I'm now intrigued. 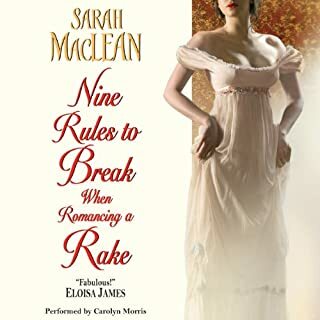 If you are looking for a historical romance that will keep you on the edge of your seat looking for villains at every turn and pegs your anxiety level on high, this isn’t the right book. If you are looking for a historical romance that will help chase away the stress of real life for a while, this is the right book. It is so enjoyably light hearted; I didn’t even try to guess who the villain was. Yes, The Autumn Bride will be read again and again over time. Looking forward to the next book in the series and hope Alison Larkin will narrate, after all she is a large part of the book's success. I don't know where to begin but let me start by saying I have read and listened to many historical books. I have my favorite authors and Anne Gracie was not one of them. Actually this is my first time with one of her books but I must say not my last. This book was so refreshing, I didn't want to put it down. I can't wait for the next book(s) in this series. Max and Abbie did not have much interaction together apart from their dislike for each other and heated word exchanges, but we all know that great dislike between most men and females result in love! I recommend this book and if their were more stars I would have given it an 8, a 10 required more sexual contact. Where does The Autumn Bride rank among all the audiobooks you’ve listened to so far? It is a new favorite author a little behind mary balogh, and lisa kleypas. Im looking forward to more by her. What was one of the most memorable moments of The Autumn Bride? I really loved the "Old Lady" she was great throughout...made me chuckle a lot. I really loved the characters and I am hoping there are more audiobooks to come... wonderful little story. I honestly can't remember the last time I've enjoyed a book quite this much, it was engaging from page one. A book with fresh ideas, a delightfully cast of characters, funny, heart-warming, with the passion of romance. 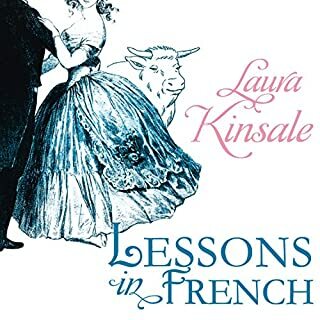 A thoroughly enjoyable book, enhanced by the performing talents of Alison Larkin. The combination of Anne Gracie and Alison Larkin makes a perfect romance. I started it, and listened to it, and started it again. Now I'm starting the series over again, so I can enjoy the whole story, all at once. I'm recommending it to all my friends. 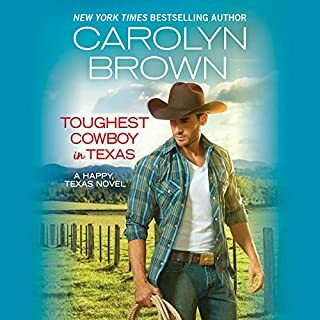 It's a keeper, and as a huge fan of romance novels I can say "You will love this series!". Loved Every Moment - Great Narration! Ms. Gracie’s heroine Abby was enormously lovable right from the get-go. Abigail Chantry was a governess and had a good working relationship with her employers and her charges but when she heard her younger sister was in desperate straits, Abby would do anything to save her and two of her sister’s dearest friends from a fate worse than death, including death itself. Hiding from being discovered by folks who would do them harm, funds were at a perilous or nonexistent state. Needing medication for her sister Abigail decided to break into an empty mansion in the hope of finding something to sell. What Abby did find was Lady Beatrice Davenham, bedridden and neglected. Horrified at how Lady Beatrice’s servants were robbing their mistress blind, with Lady Beatrice’s affirmation Abby then fired them all - with Lady Beatrice’s blessing. After that Lady Beatrice had these four young ladies become her “nieces” . 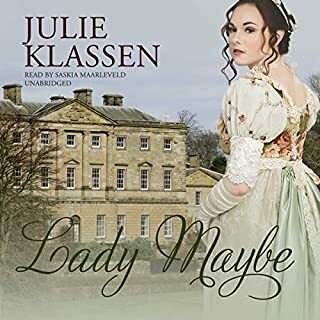 Life was good until Lady Beatrice’s dashingly handsome and arrogant nephew, Max, Lord Davenham return from the Orient and discovers an impostor running his household. 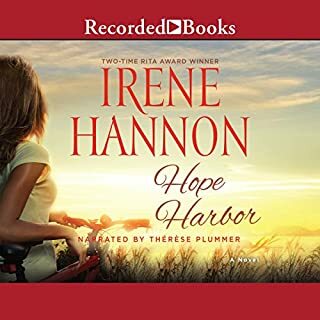 I have to say that I have always been a fan of Anne Gracie but what originally prompted me to pick up this audio was two things, one the gorgeous artwork of the cover, and second because I have always liked Ms. Gracie’s writing. So WOW - I got DOUBLE the pleasure!!! Add to that the superb narration by Allison Larkin and this Audible version was the best! Not only do you have a wonderful sensual romance going on between Max and Abby (once they figured it out) but Lady Beatrice was a darling; her other “nieces” were sweethearts; and Abby’s friends who had always looked out for her became their butler and footman! It was a purely spectacular mix of great characters who interacted with each other in a wonderful tableau of danger, adventure and humorous antics. Naturally, there was also the danger of the fiends who were trying to find Abby’s sister and reel her back into the dangerous brothel she had escaped from. Add to that the mystery of how and why her sister ended up there in the first place and you have one fully fleshed out tale, that will keep you listening to the very wee hours. This Audible version is highly recommended. Take a chance on the Chance sisters! Excellent storyteller! Here we have the first tale in the story of the Chance sisters, and are eagerly looking forward to the other three! Interesting, well-plotted, engaging the audience's full attention with ease and humor. Will not present any spoilers here, the publisher's summary is adequate. Alison Larkin does a remarkable audio performance which enhances the characters as well as the author's craft. What made the experience of listening to The Autumn Bride the most enjoyable? Whitty females getting the best of the alpha males in their lives. Love the strength and bond the women have in this story. Not the normal smugness usally expected fo the "Gentle People" of this era. What other book might you compare The Autumn Bride to and why? This book reminded me of Lisa Kleypas, The Hathaways Series. The oddities that just make you laugh. Lady Beatrice Davenham "The Aunt"; is the best and most favored charater. This book had me in stitches ..... It made laugh so hard I was crying. This is a great pick me up. I’ve been “re-reading” favourites from my bookshelf by listening on my commute through audible. So many of the readers are just not up to the job, but I have to congratulate Alison Larkin for a fantastic reading of this book! She gets it! Omg she gets it! 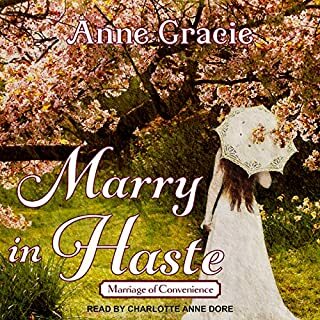 The female characters sounded strong yet feminine and the Austen-esque dialogue in Anne Gracie’s work was rendered very well indeed. THANK YOU. Social wit and nuance is not an easy thing to do by all accounts. I have already bought the next one and hope to enjoy it as much. Great story if a bit outlandish,but the way author presented book made it believable. one of the best narrator's I have come across. Hope to listen to her again. This story has it all: intrigue, crime, humour, strong hero, wonderful heroine, description of social issues of the time, and a sweet romance. Of course, some of the scenes are a bit far fetched but then this is fiction and nothing wrong with letting one’s imagination roam. Very enjoyable performance by the narrator. Will definitely read/listen to the rest of the series. Very light, but very enjoyable. Easy entertainment well carried out. Of course the old lady. What does Alison Larkin bring to the story that you wouldn’t experience if you had only read the book? I would probably not take to time to read such a lighthearted book, but it is perfect for entertainment while doing other stuff at the same time. Jane Austen citations. Yes, everybody is a big fan of Jane Austen, but the citations did not even fit too well and I felt a bit irritated because it just felt like aiming too high. So I thought the book would have been better of without them. For the narrator, she did pronounce Phaeton (the carriage) und Gunter's (the London ice shop) differently from all other books I ever heard set in this period, so I could not help but wishing they would have choosen Rosalyn Landor instead. Her male voices were not that good either, but I do not mean to say, the narration was bad, but definitely not as divine as Rosalyn Landor would have been.